Understand deep learning, the nuances of its different models, and where these models can be applied. The abundance of data and demand for superior products/services have driven the development of advanced computer science techniques, among them image and speech recognition. Introduction to Deep Learning Using R provides a theoretical and practical understanding of the models that perform these tasks by building upon the fundamentals of data science through machine learning and deep learning. This step-by-step guide will help you understand the disciplines so that you can apply the methodology in a variety of contexts. All examples are taught in the R statistical language, allowing students and professionals to implement these techniques using open source tools. 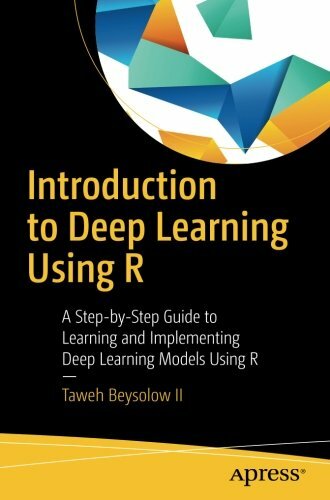 Students, researchers, and data scientists who are familiar with programming using R. This book also is also of use for those who wish to learn how to appropriately deploy these algorithms in applications where they would be most useful.